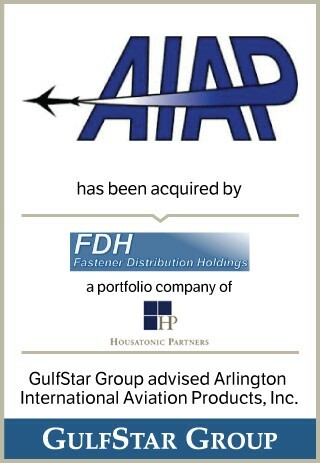 Arlington International Aviation Products, Inc. Founded in 2002, Arlington International Aviation Products, Inc. is a leading provider of supply chain management services to the global aerospace and defense industries. AIAP’s value-added services include inventory management of C-class aerospace parts, maintenance of supplier relationships, quality assurance, kitting, bin management and usage forecasting. The Company is based in Arlington, Texas.